AFTER decades of heartbreak, the Western Bulldogs have the chance to cap their first-ever AFL Grand Final appearance (and their first top-flight title fight since 1961) with a miraculous double after taking out the VFL flag last weekend. They may be the $2.40 underdogs at Sportsbet, but Luke Beveridge’s plucky charges will have the vast majority of neutral support when they tackle a star-studded Sydney Swans outfit at the MCG this Saturday. It’s always a huge day for footy punters, who can indulge in a veritable cornucopia of match specials, odds boosts and Norm Smith betting bonuses at our top AFL bookmakers. Sportsbet has paid out more than $1.3 million in cash refunds and bonuses during the 2016 AFL finals series alone. Need we say more? Put a head-to-head cash bet on the AFL Grand Final result and double your winnings up to $50 in bonus bets. The bonus boost applies only to the profit from a winning bet, sans the original stake. For example, let’s say we put $10 on the Bulldogs at $2.40 odds. If they get up, we will collect $24 cash from the initial bet and an extra $14 bonus ($24 minus $10 stake) courtesy of the promotion. Bet on the 2016 AFL Grand Final first goalscorer market and get a bonus refund up to $50 if your man scores not the first, but the second, third, or fourth goal of the game. This offer applies only to real money bets (no bonus credits) and excludes multi selections and cashed-out wagers. As the official AFL wagering partner, CrownBet is as safe a bet as any for Grand Final weekend. Check out these Bulldogs vs. Swans betting specials. 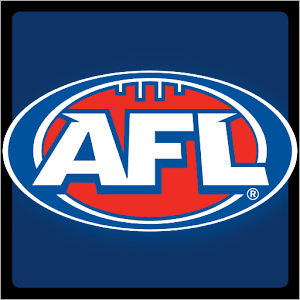 If your first head-to-head bet on the AFL Grand Final 2016 loses the game, the bookie will match your stake up to $50 with 100 bonus points for every dollar wagered. That’s up to 5000 points that can be exchanged for betting bonuses, gift vouchers and many other CrownBet Rewards prizes. Pick any player to score the first major of the AFL Grand Final and you’ll pocket a bonus bet refund up to $50 if your man scores any goal but the opener. 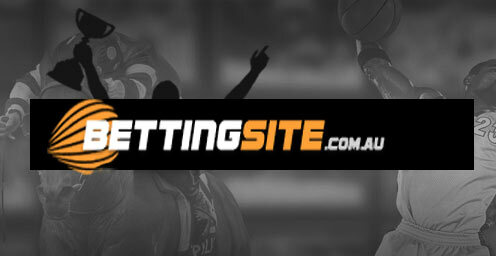 This applies to online cash wagers only and excludes multi picks, bonus bets and early cashouts. If you fancy something a little different, William Hill Australia has a pair of AFL Grand Final specials you won’t find at any other leading internet bookie this weekend. Place a bet on the 2016 Norm Smith Medal winner and get your money back up to $25 if your player doesn’t win despite kicking the most goals or collecting the most disposals on the day. For example, let’s say we put $20 on Lance Franklin for the Norm Smith. If he tops the goalscoring with five for the match and yet doesn’t win the medal, William Hill will refund our bet with $20 cash. For both the AFL and NRL grand finals, William Hill is offering to beat any advertised non-promo price at Sportsbet.com.au and TAB.com.au on corresponding line markets and head-to-head bets. So if Sportsbet is paying standard $2.40 odds for the Bulldogs to win, for instance, Hills will guarantee a better return. Online betting giant Bet365 has paid out squillions in AFL multi bonuses all year long, and it won’t be any different for the 2016 Grand Final. Pick a winning AFL Grand Final multi consisting of two-way handicap, totals and result bets and score a percentage bonus up to $100,000 extra cash. The minimum three legs returns a 10 per cent bonus boost, increasing in five per cent increments for each additional leg. To maximise your bonus, combine your AFL bets with corresponding markets for the 2016 NRL Grand Final. For example: six legs comprising a handicap, totals and head-to-head bet in each footy final will net you a 25 per cent winnings boost.